Videopad is a free, professional, video editing application which allows you to create movie projects from various video clips or a single video file. It also allows you to import a wide variety of audio and video file formats including. Avi,. Wmv,.3gp,. Output video files and share your creation with more friends on computer or through the internet a professional version of videopad is available from nch software with additional supported formats and features. 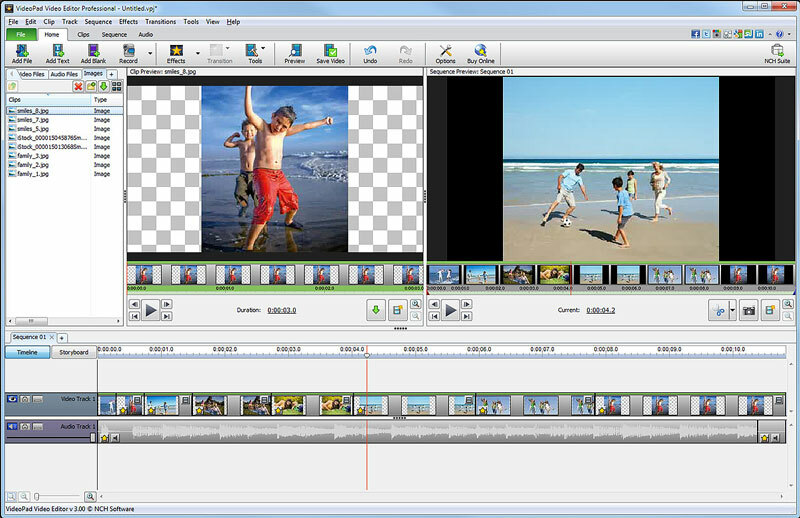 VideoPad Free Video Editor is an utility that works under windows xp, windows vista and windows 7. It supports both 32-bit & 64-bit windows editions, therefore it could run faster on 64-bit computers. It is Free so you can download it and share it with your friends. Estimated download time for VideoPad Free Video Editor on a common adsl connection is less than a minute. Version 7.10 is brand new and was released eleven days ago by NCH Software. Click the green download button to download it now.